At Garage Solutions, we understand that the world can be a chaotic place, but that doesn’t mean your garage needs to follow suit. Our expertise is in garage organization, storage, and flooring. 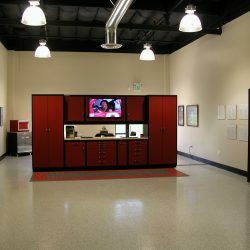 We take plain, regular garages with gray concrete floors and transform them into spaces that rival some kitchen and bathroom remodels. 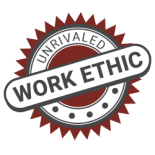 Whether you need a place to work on your classic vehicle, or a man-cave to escape the responsibilities of life, we can help. 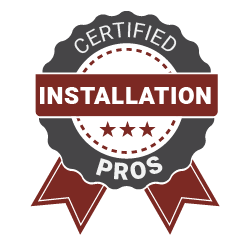 Our professional designers and trained installers all work to bring your vision into reality, because we believe life is too short to waste time digging through garage clutter or disliking the way your garage space makes you feel. 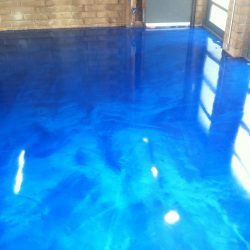 As one of the toughest and most durable finishes you can add to your garage floor, epoxy coating is a great investment to take your concrete garage floor from archaic to professional. Whether you need your garage floor in your home coated or your warehouse floor finished, Garage Solutions is here to help. It’s common to believe that epoxy flooring is paint; it’s not. 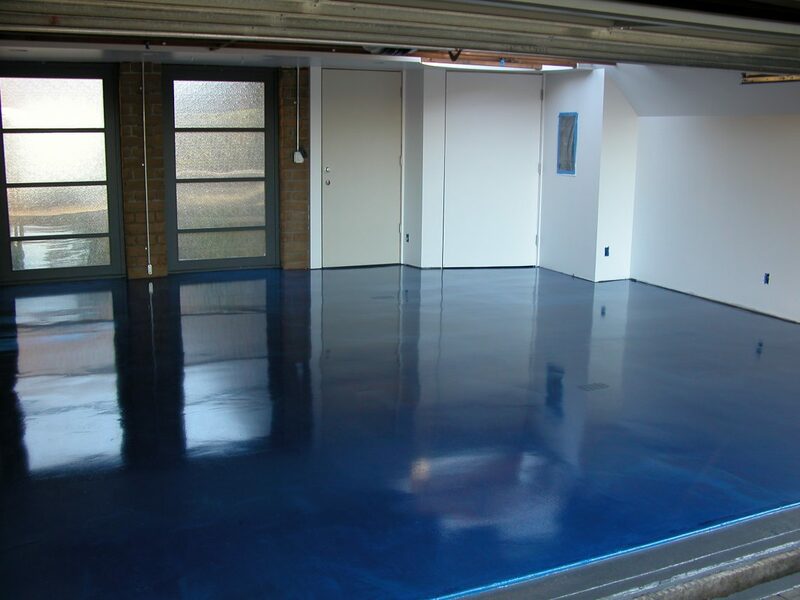 Paint for garage floors is typically a latex-acrylic product. In some paints, a small amount of epoxy is added to increase durability and add the aesthetic shine; however, it’s still paint. Epoxy is a thermosetting resin. It’s applied in coats to cure more effectively. In most cases, epoxy is one part polyamine hardener and one part epoxide resin. Epoxy gets its strength and durability from the hardener. We then apply a two part Polyurea clear coating for further protections from the heat of your tires, abrasion resistance and UV protection. 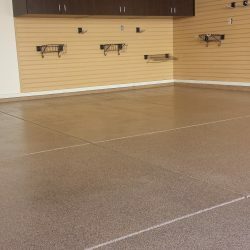 When it comes to your garage floor, you will want a professional to coat your garage for you so that you get the best epoxy garage floor application possible. 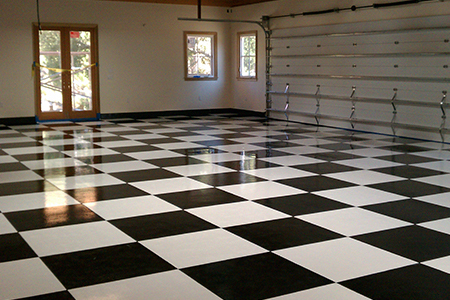 Not only does epoxy look nice, it adds extra strength and durability to your garage floor. Gone are the days of dungeon-gray concrete garage floors. 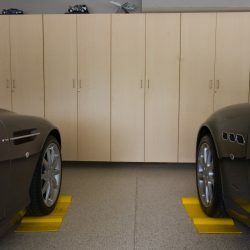 Your garage is a room in your California home that you probably spend a good amount of time in. That’s why an epoxy floor coating is a great investment to make. 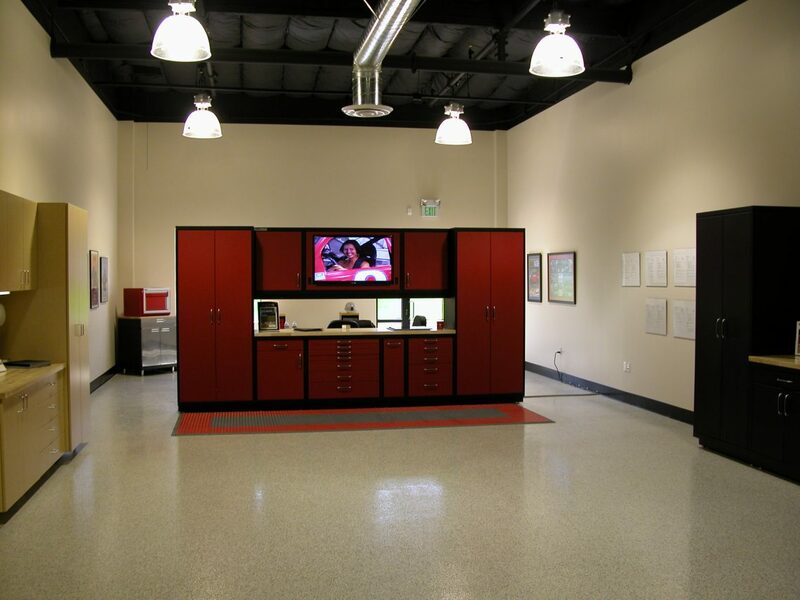 Epoxy flooring is resilient against chips, cracks, stains, chemicals, surface abrasions, and more. 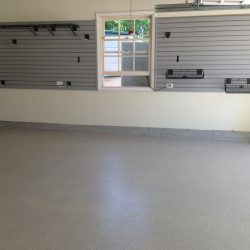 When it comes to finishing or coating your garage floor, you have options to choose from. Below are the benefits of choosing epoxy. 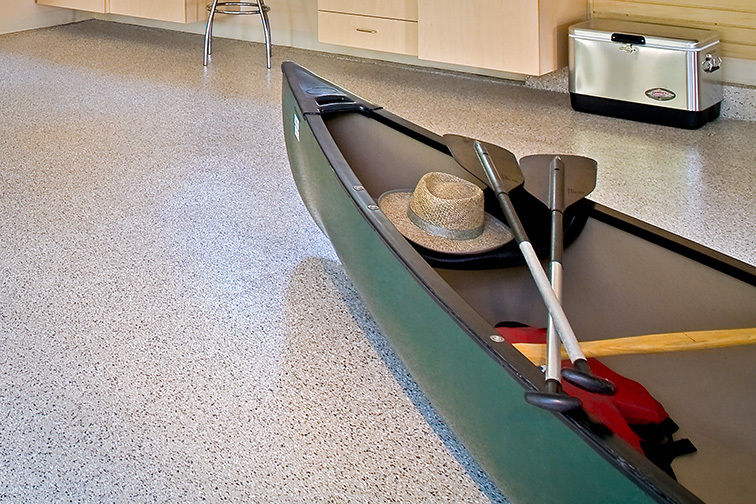 As we’ve mentioned already, epoxy floor coating is durable, tough, and strong. It adds a layer of protection to your garage floor that sealers, plastic tile, or paint cannot offer. 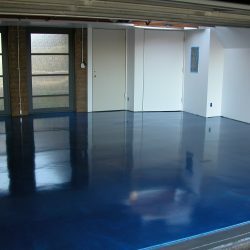 A thick application of epoxy coating to your garage floor will make your life easier, no matter how you use your garage. 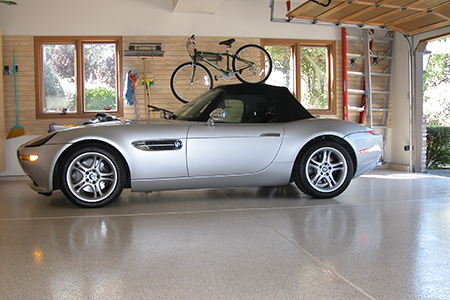 A coating of epoxy for your garage floor helps cover up minor imperfections in the concrete. Granted, we all expect a perfect pour from our foundation experts, however, that is not always the case. Furthermore, you will find the Decorative Epoxy Floor coatings conceal the dust and dirt that your family tracks in. 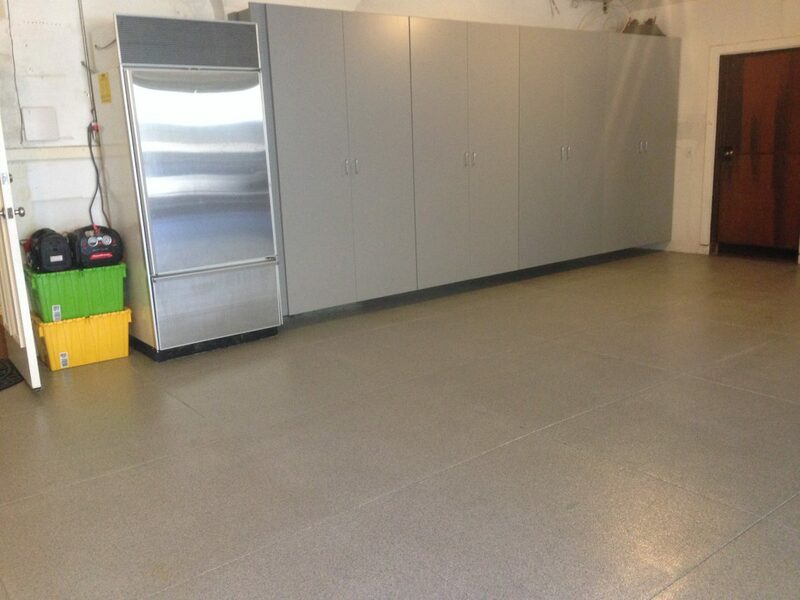 A huge benefit of epoxy garage floor coating is the ability to easily clean it after a spill. Not only is epoxy coating resistant to liquids, a variety of chemicals, oil, and more, but it’s simple to clean. In most cases, a sealant, plastic tile, or paint will, either absorb the liquid spilt, or the liquid will erode the floor product. Simply broom sweep the floor and from time to time when you get the water run-off from your tires in the winter months, just mop it clean. Once your epoxy floor coating is applied, you have little to worry about in relation to maintenance. Most garage floor products don’t require much maintenance, however, epoxy is at the bottom of the list for needing maintenance. Simply broom sweep and the occasional mopping will keep your floor shining. Epoxy garage floor takes relatively little time to install. 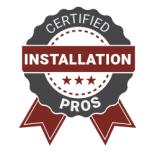 When you choose to work with the professionals at Garage Solutions, you will find that from first contact to final walk-through, you will receive a two-day epoxy garage floor installation. Epoxy coatings last a long time. Depending on the thickness and type of epoxy product you use, a garage floor coating can last 10 to 20 years, depending on how you maintain it. Add in how you will be using the floor and how well you maintain it, and you will have a long-lasting investment. This can occur for two reasons. The first is that the substrate floor was not prepared properly to receive the epoxy floor coating. This can range from cleanliness all the way to floor temperature. The second reason is due to epoxy floor coating not being applied properly. This isn’t a paint by numbers project, and it requires a professional touch to get it just right. The biggest reason this occurs to epoxy garage floor coatings is due to not waiting for the floor to dry post acid etching. If the coating is applied too soon, it can result in moisture buildup beneath your epoxy coating. Applying epoxy incorrectly when the temperature is not ideal typically causes air bubbles to form in or beneath the epoxy coating. You may also find that how the epoxy is mixed can cause air bubbles, too. An epoxy coating mixed and applied properly will not have air bubbles. There are two ways your epoxy coating color can turn out incorrect or inconsistent. The first is improper mixing of the epoxy. If it is not mixed long enough, color can spread unevenly. The second reason is incorrect application. When homeowners go the DIY route, they tend to underestimate how much epoxy they need to coat their garage floors. We understand if you’re attempting to save a few dollars by doing it yourself; however, it’s important you understand that “stretching” the material when you don’t have enough will only result in a thin/fragile coat that won’t last very long. Alongside the benefits listed above, epoxy floor coating adds an aesthetic you won’t find with other garage floor products. Epoxy allows for color choice, custom finishes, and an overall value addition to your garage in the form of design and style. 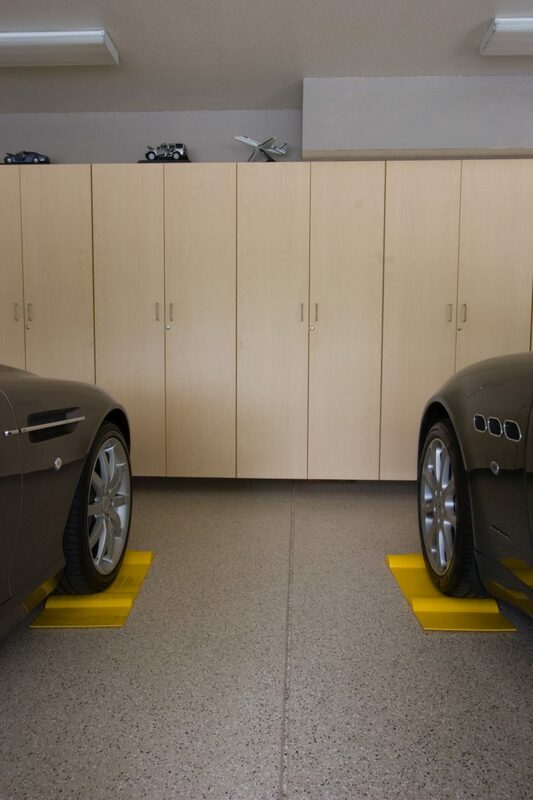 Epoxy is one of the only floor coating products that allow you to include your floor in the overall feel and atmosphere of your garage. It’s valuable to understand that not all epoxy flooring products are created equal. 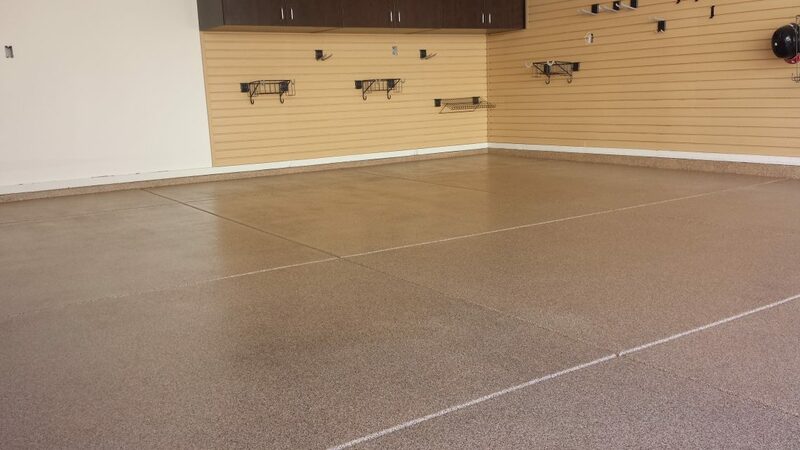 You can customize your floor coating down to the mixture of water, epoxy, hardener, and finish. It’s a satisfying process to know that the terrazzo-flaked floor coating was your decision. The assurance knowing you chose the perfect epoxy floor coating for your lifestyle adds value to your life. How Long Does Epoxy Garage Flooring Last? 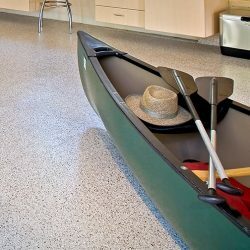 Most homeowners believe that epoxy floor coating will only last one-to-three years before they need to clean it and, either coat it again or simply re-finish it. 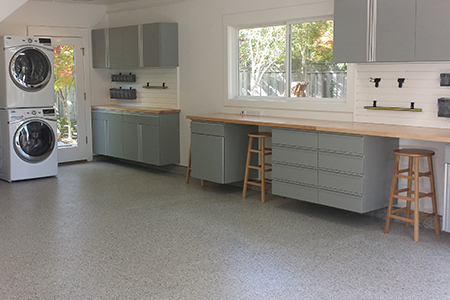 Candidly, Garage Solutions has completed epoxy floor coating applications over a decade ago, and they’ve not needed a new coat or refinishing. One of the biggest reasons we love epoxy floor coating is that if you choose the right coating, thickness, and color, your epoxy will last a long time. 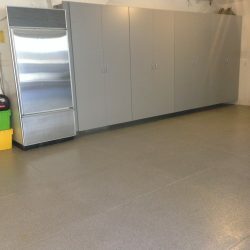 When To Install Your Epoxy Garage Floor? In California, anytime during the year. Ideally, epoxy floor coatings apply the easiest when the outdoor temperature is around 75 degrees. However, epoxy floor coating can be installed in nearly any temperature. When the temperature rises into the 90s, epoxy coatings cure faster, which means the process must be completed quicker than if the temperature was in the 50s. The focus is on how quickly the epoxy will cure, which directly affects how quickly it needs to be applied. Those interested in DIY epoxy coating kits tend to fall prey to rushing the application, which creates inconsistencies and imperfections that are tough to fix. The way we work is just as important as the work we do for our customers. 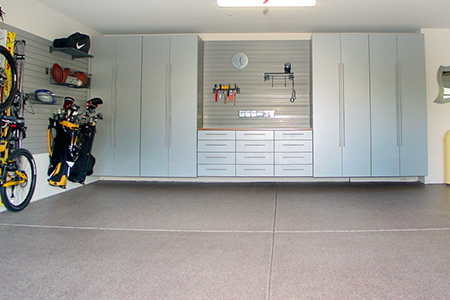 Whether they choose to epoxy their garage floor, install garage cabinets, or enhance garage storage with our StorALL wall solutions, we deliver a simple, enjoyable experience. 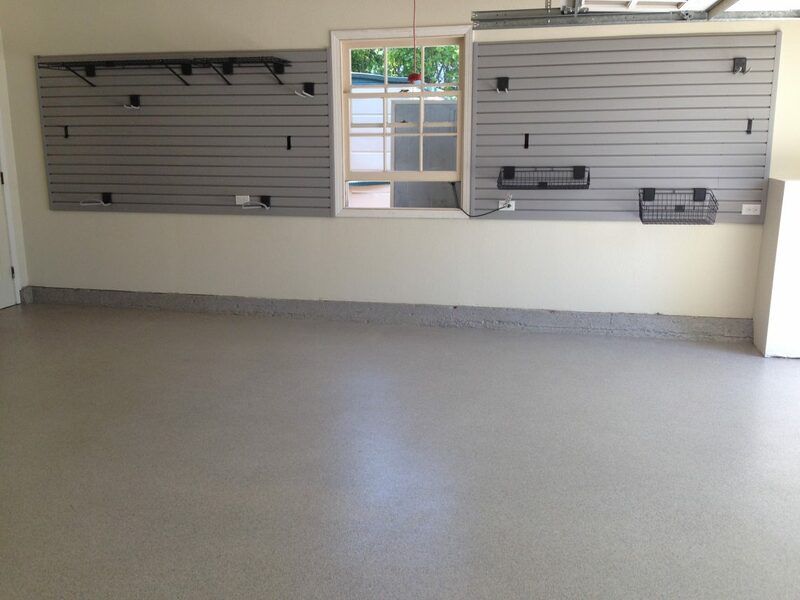 Your garage floor project doesn’t start with which type of epoxy to choose; it starts with you. We focus on you, your needs, and how we can help you bring your garage vision into reality. Our consultation is unique to the garage organization industry. Once you schedule a consultation with us, we begin our work to serve your needs. 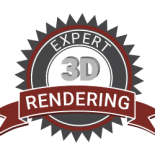 We send out our expert designer to collect the dimensions of your garage, and in 45 minutes the vision for your garage begins to take shape. Our designer will also spend time with you on concepts, styles, and colors. 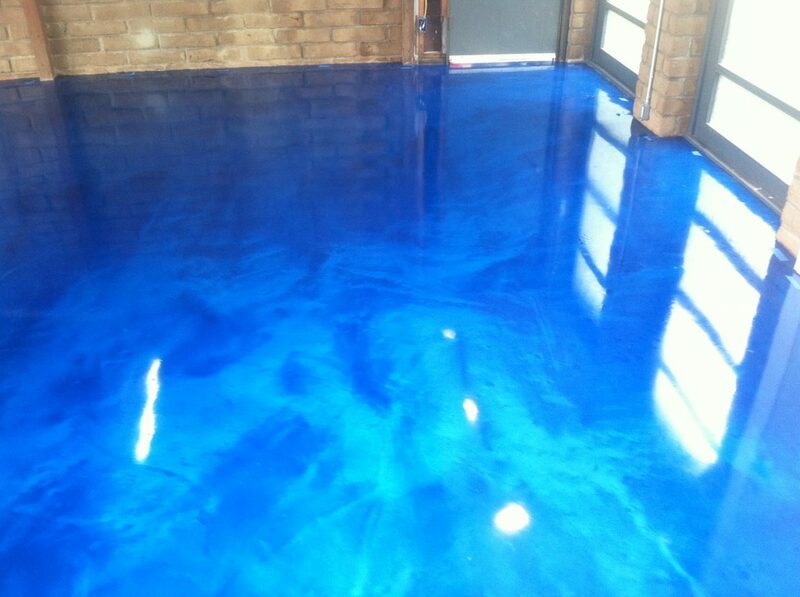 Adding epoxy coating to your garage floor is an investment, and we want you to get the highest return possible. 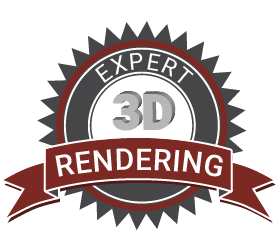 Once you and your designer work out the details, we will deliver a 3D rendering of your personalized garage. 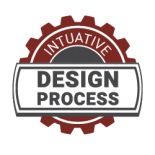 We then tweak and adjust the design until you absolutely love it. 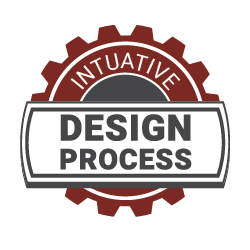 You make the final decision, and we want you involved throughout the entire process. 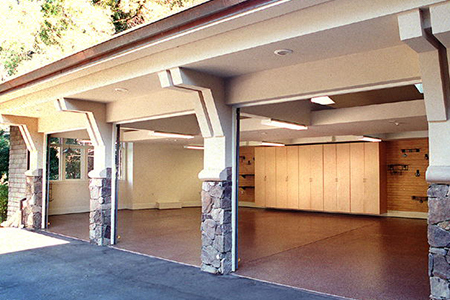 After your garage design is finalized, we will schedule a date and time that fits your life. 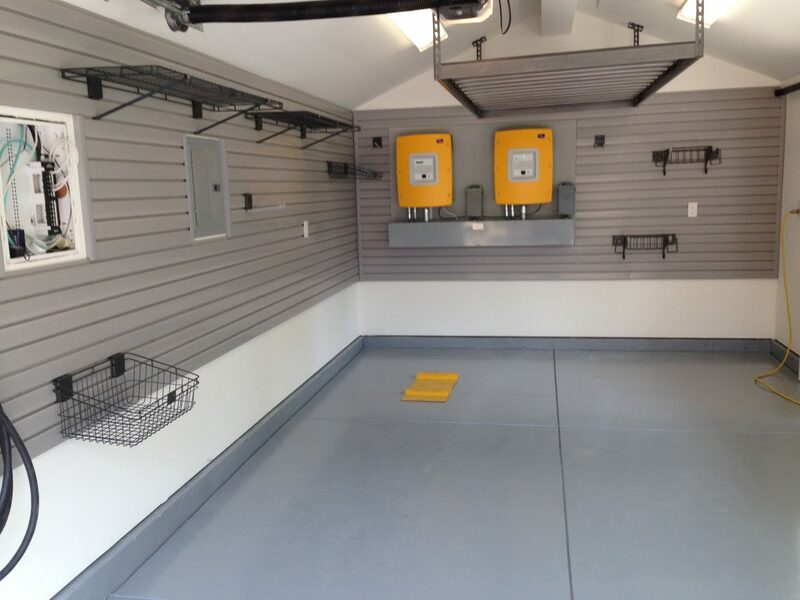 Once a date and time is set, Garage Solutions will arrive and install your custom garage features, whether you’ve chosen epoxy garage flooring, custom wood or steel cabinets, or a personalized StorALL wall storage system. We encourage you to be present while we install your new garage features so that you can see the value we place in attention to detail. 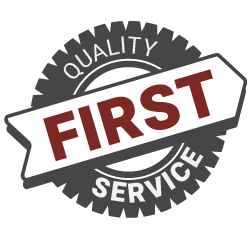 At Garage Solutions, we understand “quality” has been overused in almost every industry. 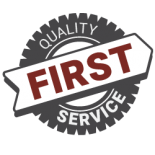 However, we deliver on our promise to you: to deliver the highest quality work on the back of excellent customer service. 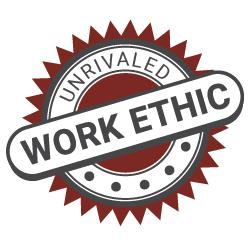 We use the finest materials and keep only the best floor, cabinet, and storage installers on staff. When you choose Garage Solutions, you don’t just hear about quality, you actually see it. After serving the greater Bay Area for years, Garage Solutions has established itself as the authority in the garage organization and storage industry. 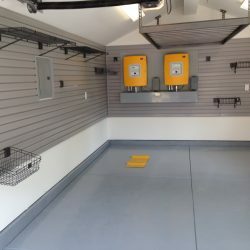 When you’re looking for an epoxy floor installation professional or a garage cabinet and storage company to transform your garage, you can rest assured that Garage Solutions will deliver on their promise. Our mission is to deliver the highest quality garage organization and storage services in the industry. Although we serve the greater Bay Area, we strive to be the best in the nation. Our commitment starts with you and ends with you. If you’re not satisfied, we have not succeeded. You can trust that we will work diligently to take care of you and your needs. What is the best concrete floor coating?